An effort of citizen monitoring to promote accountability on health services quality and rights’ respect was carried out in the Puno region in Peru. Quechua and Aymara indigenous women community leaders engaged with ForoSalud, CARE Peru and regional office of the Human-Rights Ombudsman to monitor women’s health rights, particularly the right to good quality, appropriate and culturally respectful maternal health services. Four key components make this initiative unique within Peru which include i)Tailor-made capacity building; ii)Citizen monitors’ visits to health facilities in pairs two to three times per week; iii)Discussion on issues with female patients in their native language about how they were treated, how long they had to wait to be attended, whether health personnel complied with working schedules and whether they were provided with information in their own language; and iv)Documentation of findings and production of report reports and monthly analysis of findings was done by the citizen monitors with the regional Ombudsman's office, CARE Peru, the departmental officer for Integral Health Insurance (ODESIS) and ForoSalud members to generate a “dialogue agenda” for a meeting (audiencia) with the directors of health micro-networks, provincial hospitals, the head of the health establishments and their teams. In these meetings the monitors expressed their concerns and issues of the need to be addressed locally. Monitoring and evaluation was done based on the minutes signed by the authorities present in the consultation meetings. The findings of citizen monitoring initiative in Puno region suggest collective empowerment of indigenous women, improvement in quality of health services, enhancement in transparency etc. 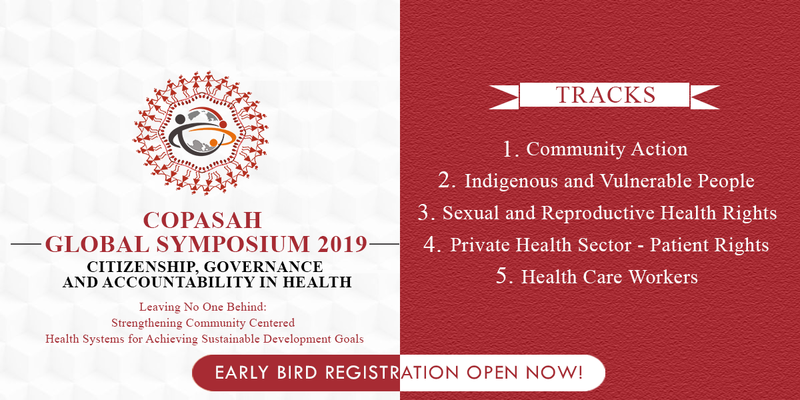 On the basis of direct interaction with rural women who use the services and individual and collective empowerment processes, women leaders have become well positioned to demand information and changes in health services through dialogue spaces with local and regional authorities. The initiative has contributed towards greater transparency, respect, cultural sensitivity in service delivery and increased demand of health services by rural women and children. The initiative has helped to identify and detect bad practices that prevent rural women from seeking care e.g. health services that are closed at times of peak demand, long waiting time, poor care, ignorance of standards that promote culturally appropriate vertical delivery and improper charges for services and medicines that should be free etc. The impact of the citizen monitoring initiative was gauged through both quantitative and qualitative studies and these suggest some positive outcomes across health facilities and improvement in behavor of health care providers. Both monitors and health care authorities and health personnel reports suggest that monitoring has begun to change practices in some local health care facilities. However, still some caveats and challenges do remain. Some health care providers do not recognise issues of discrimination and mistreatment and instead focus on issues related to organisation and service management – i.e. lack of drugs: arguing that it is outside the purview of their responsibilities. Some attempt to justify problems such as user mistreatment by referring to their own poor working conditions – low salaries, inadequate infrastructure and equipment, and understaffing. Diverse studies show a variety of positive changes in the health care services where citizen health monitoring was implemented, as improved progress in health care indicators (positive differences observed in a) the opportunity of the control of the pregnant mother (early control), b) the coverage of pre-natal control, c) care during institutional delivery, and d) access to laboratory tests provided by the Integral Health Insurance (SIS). Quantitative data showed increased access to culturally appropriate birth delivery - vertical birth delivery - from 194 in 2008 to 437 in 2009 in Azangaro Province. Discriminatory and abusive behaviour has reduced along with incidents of illegal charges and culturally insensitive care. This can be seen as an indicator of greater usage of local health facilities. In the health centres where social monitoring was introduced there was four times higher awareness of complaint mechanisms. Equally, where social monitoring was introduced, the percentage of users with complaints was twice as high. This has driven both a rise in expectations and an improvement in the quality of services, but not at the same rhythm that expectations have increased. Citizen monitors report significant positive changes to their ability to play a public role. They state that their involvement in monitoring has increased their leadership ability, their confidence in dealing with officials, and their capacity to act effectively in the public sphere. Participation in monitoring is a volunteer activity that entails significant costs for monitors in terms of time and resources. However, monitors clearly value their involvement in the initiative, and even inactive monitors interviewed indicated their intention to return to monitoring when their circumstances would permit it. Building on the citizen monitoring model in Puno, political advocacy led to launching of National Policy Guidelines for the Promotion of Citizen Monitoring of Health in 2011 and institutionalising for the first time citizen monitoring as part of Peru’s national health policy. The experience has also been hailed as an example of best practice at international level. The first report produced by the UN Commission and the World Health Organisation for Information and Accountability regarding the health of women and children - Independent Expert Review Group (iERG) for Information and Accountability for Women’s and Children’s Health – in September 2012 included eight examples globally of how to promote citizen participation and accountability. CARE Peru and Foro Salud’s initiative with social monitoring in Melgar and Azángaro was one of the case studies.